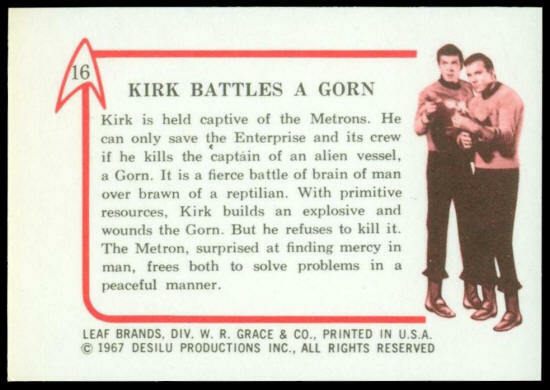 Kirk is held captive of the Metrons. He can only save the Enterprise and its crew if he kills the captain of an alien vessel, a Gorn. It is a fierce battle of brain of man over brawn of a reptilian. 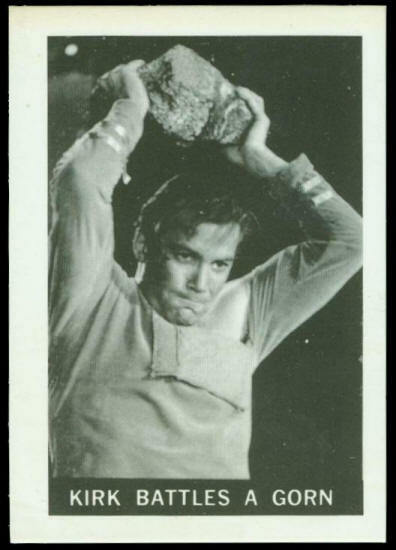 With primitive resources, Kirk builds an explosive and wounds the Gorn. But he refuses to kill it. The Metron, surprised at finding mercy in man, frees both to solve problems in a peaceful manner.